Louie loves a party! And we would love to host yours - brunch, lunch, or dinner. 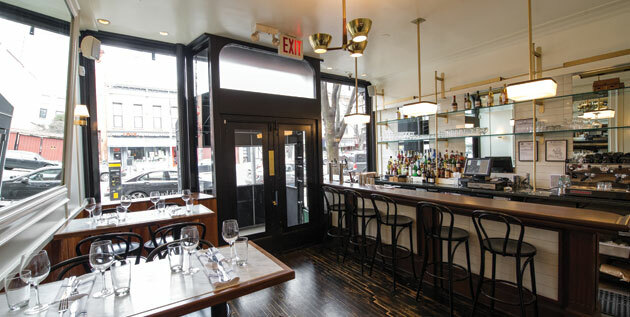 Whether you're planning an intimate meal for ten or a cocktail party for a hundred people, French Louie can accommodate you. Our understated, luxurious dining room is a perfect setting for a business meeting or a celebration with friends and family. The dining room seats sixty, and our magical, fairy-lit back garden seats up to thirty-five people and may be tented and heated in inclement weather. Our chefs and managers will work with you to customize all aspects of your event according to the occasion and your budget. For your menu, choose from the most popular items on our brunch or dinner menus. Whether it's a modern take on a classic French dish, a fresh salad made with the best seasonal produce, or a simple and perfectly prepared steak, there's something for everyone. Impress your guests by adding a seafood platter or a charcuterie and cheese board. Vegetarian, vegan, and gluten-free offerings are available. Our beverage director will put together a package that suits your guests and your budget, coordinating with you on a selection of beers, wines, sodas, juices and handmade cocktails. For parties of up to ten people, please call the restaurant at 718 935 1200. For larger parties please contact the General Manager, Ellen Simpson, by email at ellenesimpson@yahoo.com or by phone at the restaurant.